The reliable autumn foliage and distinctive yellow bark on young branches of the Fraxinus excelsior 'aurea' - Golden Ash Tree provide year round interest. The Golden Ash is an old favourite. This tree makes a lovely shade tree in any garden and is well suited to lining drive ways and avenues. Form: Fraxinus excelsior 'aurea' - Golden Ash Tree is broadly conical to rounded. Eventually develops into a medium sized, spreading, multi-branched tree. Autumn Colour: Folage turning brilliant gold in early autumn. Bark: Young branches yellow with distinctive black winter buds. Becoming yellow-grey with age. 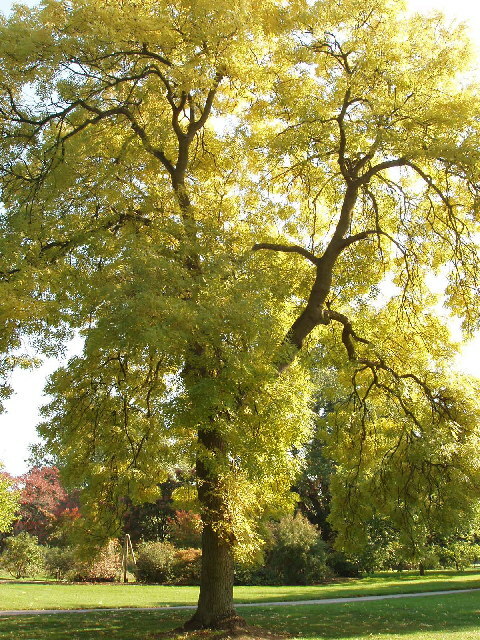 Tolerances: Fraxinus excelsior 'aurea' - Golden Ash Tree is best planted in moist, deep soil in cooler areas but tolerates both wet and relatively dry conditions. Performs well on alkaline soils. Reasonable tolerance to heat and low levels of dought. 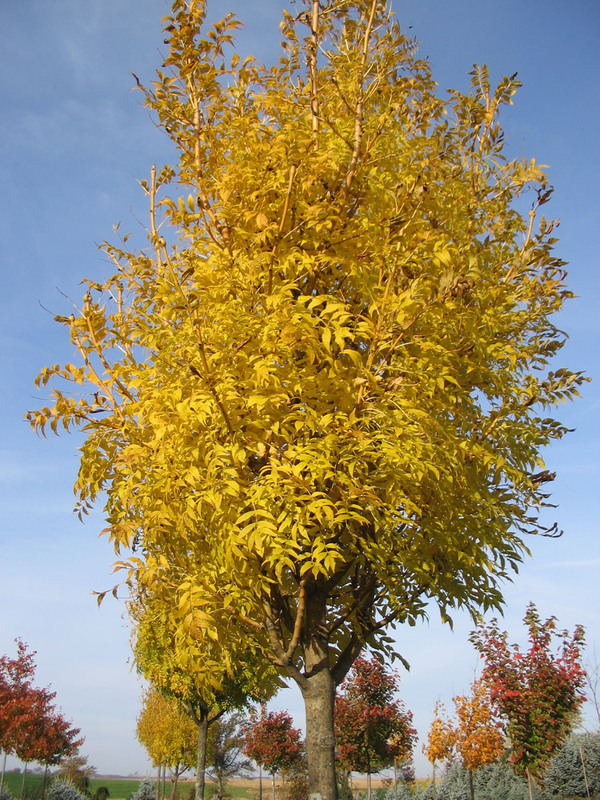 Landscape use: The Golden Ash is suitable as a shade or specimen tree and for lining a driveway. Its lime green summer foliage makes for a fabulous contrast against other dark green foliage. Provides solid yellow colour in early Autumn. Also when used as a driveway tree, the yellowness contrasts nicely against both dark and light surfaces.